Suburban Chicagoland | Whatsa matta, Yu? The big question in Chicago baseball this season isn’t if the White Sox will lose 100 games, which looks like a safe bet. It’s “whatsa matta, Yu?” As in, what’s the matter with the Cubs’ free agent darling, starting pitcher Yu Darvish. The big-money guy thus far has been a big bust. He is 0-3 with a whopping 6.00 earned run average. On Wednesday, he again could not get out of the fifth inning. That’s not what you expect when you dole out $126 million for six seasons. I’m a White Sox fan. But I’m a baseball fan first. Been following the game since the 1960s. And I’ve got some ideas on how to fix Darvish. First, perhaps Cubs manager Joe Maddon has to channel his inner Billy Martin and go nuts. Maybe break a wine glass when talking with Darvish. I’m not talking going “full Billy.” I don’t want to see Maddon try to strangle Darvish in the dugout, as Martin once did with Yankees slugger Reggie Jackson. But Maddon should get angry. Blow his lid. Throw a few things around the clubhouse. You get the picture. Hey, some guys need what Chicago coppers told me was a “come to Jesus” moment. Put the fear of Maddon into Darvish. Maybe that’s the spark he needs. Secondly, Bobby J, a longtime friend and huge Cubs fan, told me this morning that Darvish is “trying to blow everybody away.” Sure, he’s got a great fastball. He’s struck out 37 in 30 innings. But big-league hitters hit fastballs. Quite well, actually. Especially if they know it’s coming. So, maybe Darvish should dial it down. Use more off-speed stuff. And that brings me to my third point. The former Cubs star pitched his way into the Hall of Fame by masterfully painting the corners, fooling hitters, setting them up for his fastball, which wasn’t Nolan Ryan quality but still got the job done. Maddux finished with a 355-227 record and a glittering 3.16 ERA. He’s one of the best pitchers I’ve ever seen. 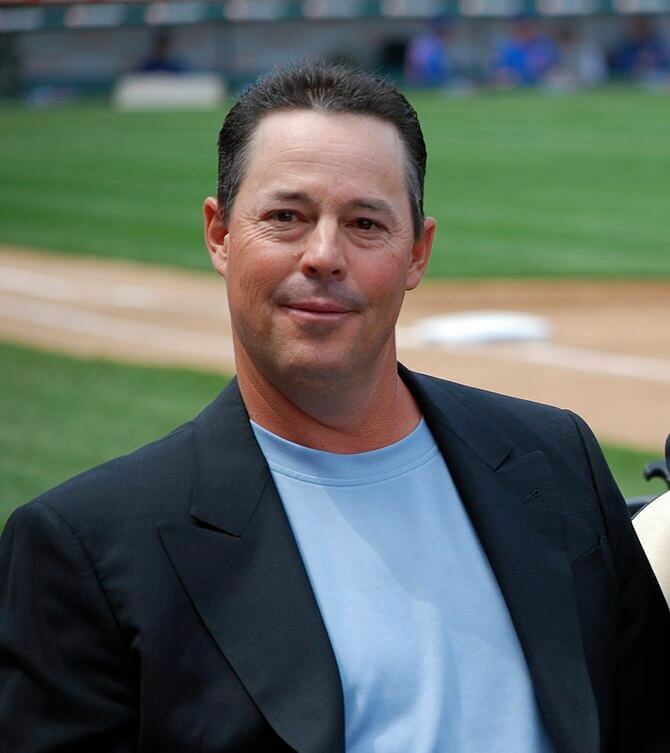 Why not bring in Maddux and set up a meting with Darvish? They sit down and talk pitching. He offers Darvish some advice and, hopefully, Darvish pays attention. We’re talking advice from a Hall of Fame pitcher. That’s incredibly valuable. A friend has suggested Darvish be banished to the bullpen to solve what ails him. I see that as a last-ditch effort, usually reserved for guys coming back from an injury or old guys trying to find their past glory. Darvish is not there yet. Another friend reminded me today that the Astros said Darvish was tipping his pitches in the World Series. Remember how Houston teed off on him? The Dodgers certainly do. There may be something to that. There are some out there who will mention Jake Arrieta, who turned down a six-year $120 million deal to stay with the Cubs, and is a tidy 3-1 with a 3.49 ERA for the Phillies. Some think the Cubs should have kept him. Perhaps. But that’s water under the bridge. Jake is gone. Yu is here. The season is young. It’s only the first week of May. There’s plenty of time for Darvish to turn this thing around. Don’t give up hope, Cub fans. As of this morning, the team is 16-12, one game out of first place. It’s not time to hit the panic button for Yu Darvish. It’s just time to re-boot. THIS POST HAS BEEN READ 13414 TIMES SO FAR. THANK YOU!